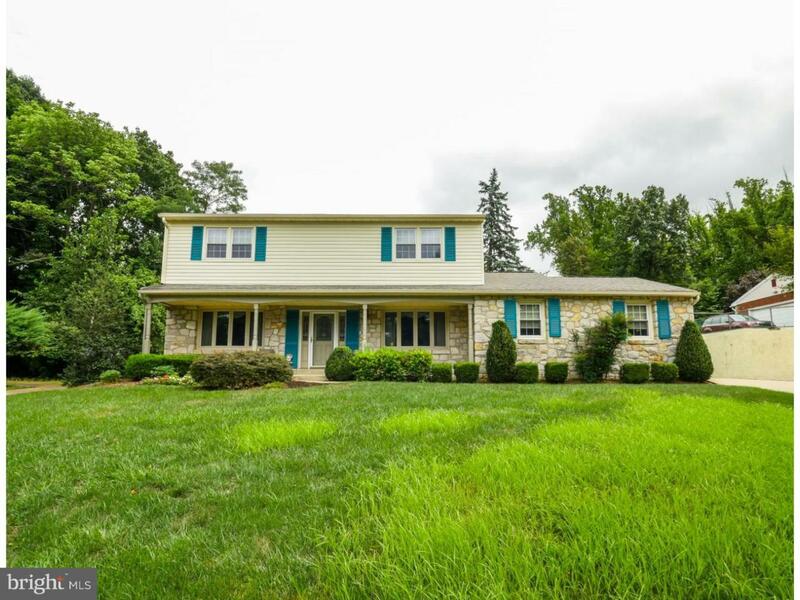 Welcome to 2713 Barry Court in Huntingdon Valley this four-bedroom home with cul-de-sac location boasts a brand new air conditioning unit and whole house generator too. A lovely curb appeal enhanced by a stone fa~ade, covered porch and evergreen landscape welcomes you inside where the spacious foyer with custom tiling is flanked by the formal entertaining areas. The large living room with luminous wood floors and a large bay window that has been recently installed is a comfortable gathering space. Moving into the family room where a full wall stone hearth frames the wood burning fireplace with mantle highlighted by directional lighting making this an ideal space to display your favorite art pieces. A bank of windows brings in soft natural light and a hinged door lends access to the patio. 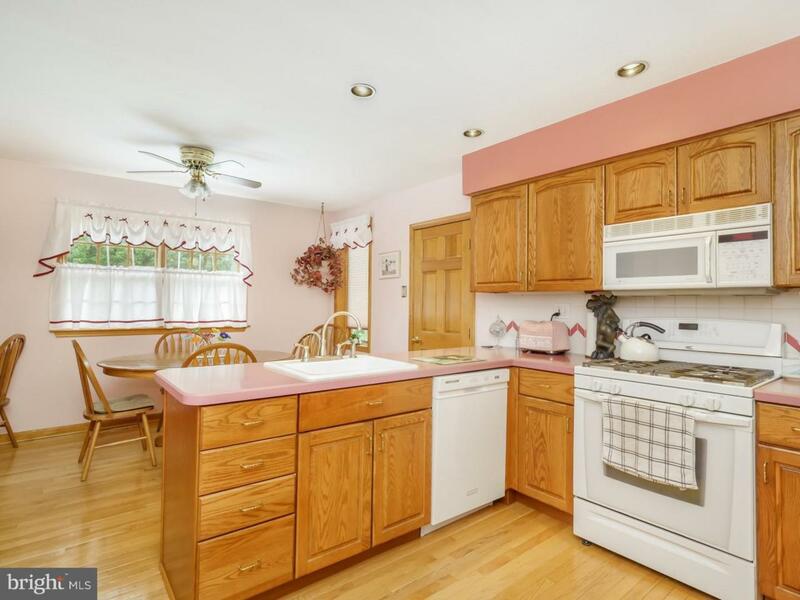 The casual dining area with a built-in corner desk adjoins the kitchen and enjoys beautiful wood floors. Additional features of the kitchen is a peninsula island, an abundance of cabinetry, custom tiled backsplash and an open appeal that takes advantage of the backyard view. 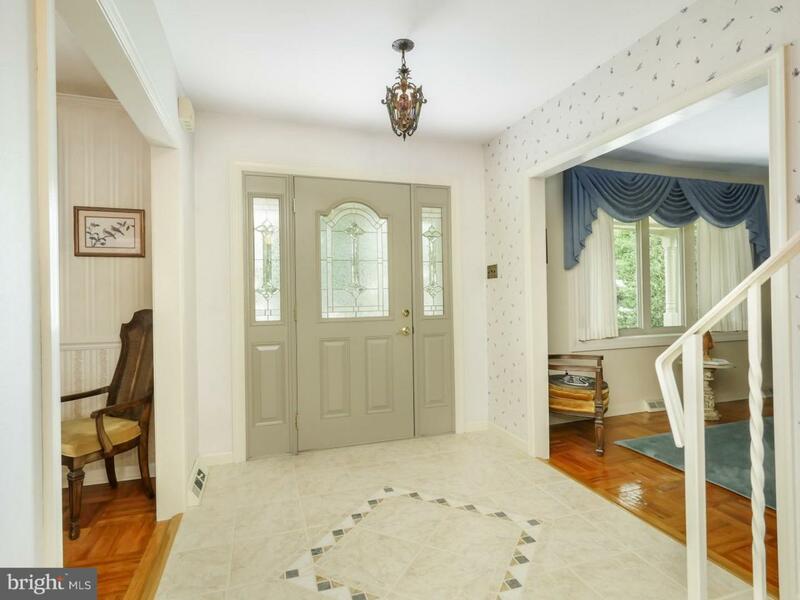 Just a step away is the garage entrance, a large laundry room and a powder room with window. In the dining room you have the warming effect of the wood floors, a chair rail and the recently installed four panel bay window. Upstairs the master suite gives the owners a serene space to rest and rejuvenate. The bedroom features a beautiful mural, wood floors and mirrored doors cladding the custom walk-in closet. An ensuite bath is bright and airy with wide step in shower and an elongated vanity. Three additional secondary bedrooms are all generously sized, are graced with the wood floors, great light, ceiling fans and each bedroom has a customized walk-in closet. The common bath with double vanity and full size tub completes this level. An enormous finished lower level offers a multi-purpose space with plush carpeting and extra closet space. With the clean lines of the hardscaping a corner patio takes in a sense of privacy as the walk wraps around to the larger of the two patios allowing you to create varied seating arrangements that look onto the green hillside. 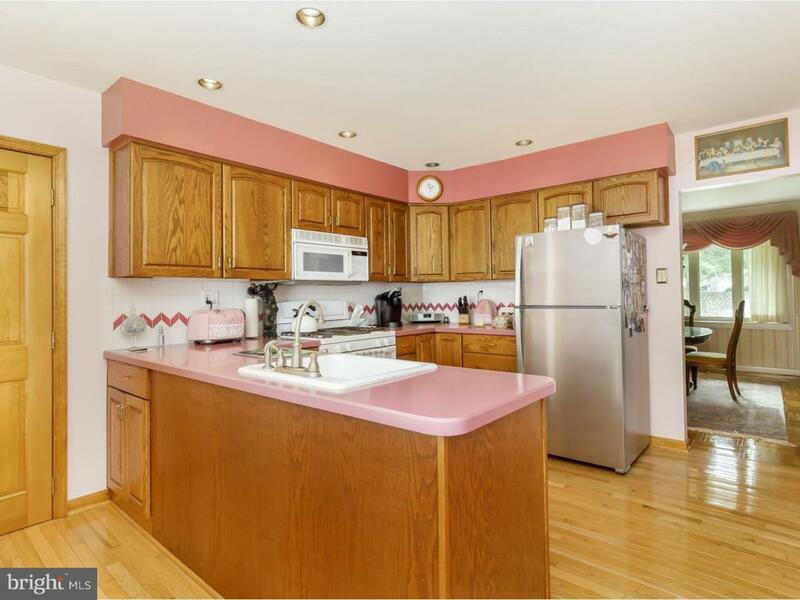 This home has been loved and cared for and simply awaits your arrival. Call today to schedule your private tour.